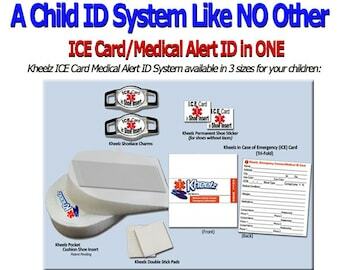 If a child is in any emergency situation like they are lost, afraid, injured and/or cannot speak, their Kheelz ICE Card will speak for them by providing caregivers, First Responders and other medical professionals in depth medical information to make critical timely decisions along with several emergency contact numbers to get in touch with loved ones. Kheelz provides more than just ONE word medical conditions that medical alert jewelry only provides. There are no bright colored wristbands with private medical information for all to see. 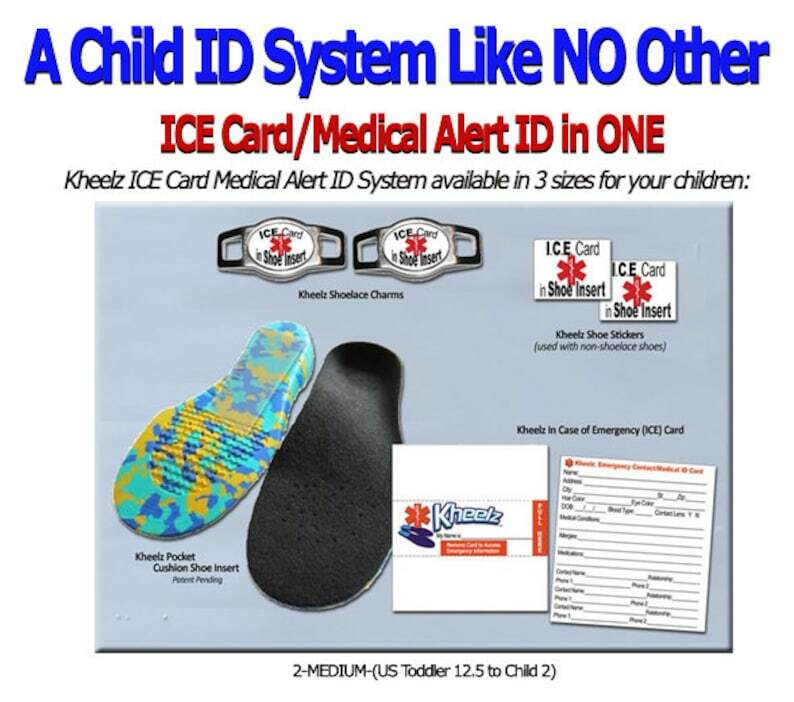 Kheelz ICE Card & Medical Alert ID System are not prone to being misplaced, having chains broken or forgetting to wear altogether like other medical alert identification products. 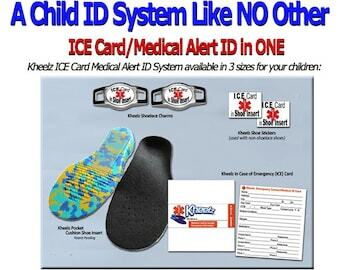 Emergency ID is like an insurance policy that, when you have a claim "pays out", or delivers, information when and where you need it most. 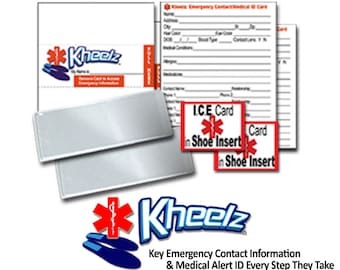 Kheelz does NOT rely on electronic card readers or computer devices that First Responders must figure out how they work, no passwords to enter in order to access contact/medical information. Phones are damaged in accidents so their medical ID apps are useless. First Responders and emergency personnel are trained to look for medical alert jewelry. 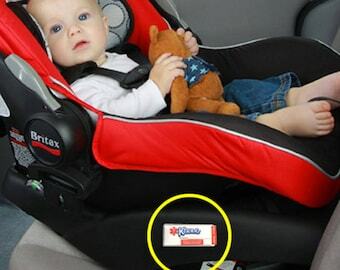 Shoelace charms are an accepted form of medical ID and the most recommended for young children. 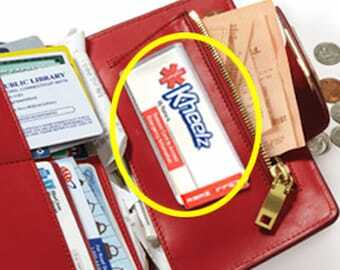 Kheelz simplicity it what makes it so effective in any emergency situation. Please contact with any questions you may have before purchasing. Kheelz does not to claim to be a medical corrective device for foot ailments. Some slight foot discomfort may be present when first wearing Kheelz and should be go away within several hours of wearing due to the support areas of the full size insert.